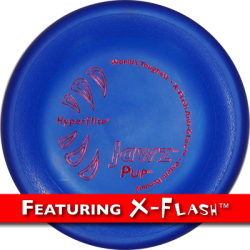 Hyperflite's Jawz disc is the toughest and best-flying puncture-resistant disc ever made. 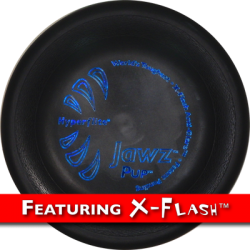 The Jawz disc stands up to gnashing canine teeth better than any other competition disc. 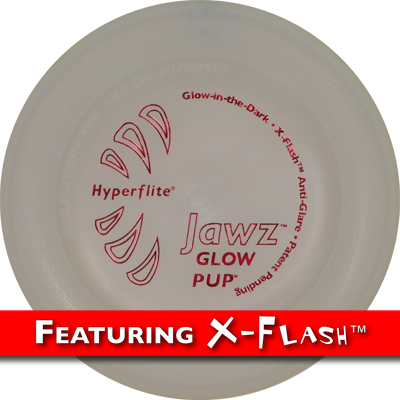 All Jawz discs feature Hyperflite's patent pending X-Flash(TM) Anti-Glare Technology. 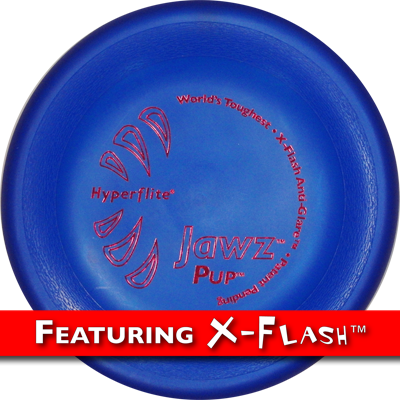 Although the Jawz disc is remarkably tough in normal canine play, it is not intended to be used as a chew toy. Jawz discs do not float in water. 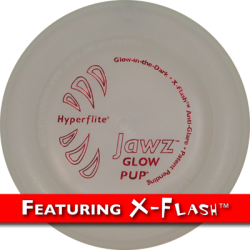 The Jawz Hyperflex is an ultra-flexible version of the Jawz that is about 80% as tough as the regular Jawz disc but soft like Hypeflite's SofFlite disc. 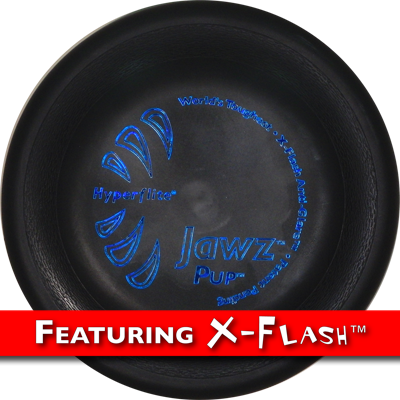 (Although the Jawz disc is remarkably tough in normal canine play, it is not intended to be used as a chew toy. Jawz discs do not float in water). 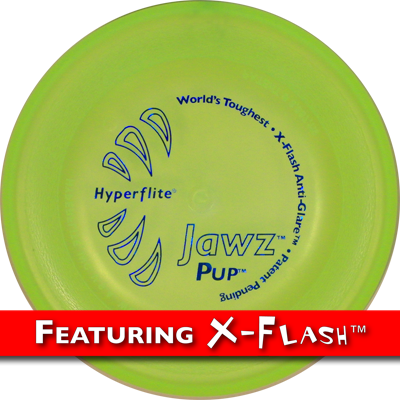 Hyperflite's Jawz Pup disc is the toughest and best-flying puncture-resistant disc ever made. 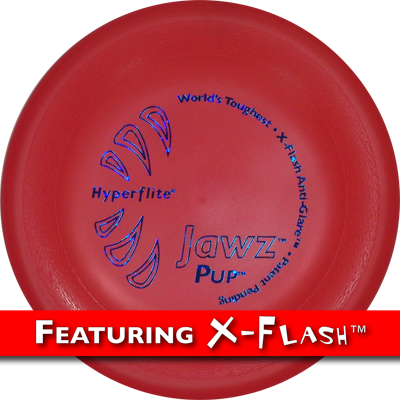 The Jawz Pup disc stands up to gnashing canine teeth better than any other competition disc. 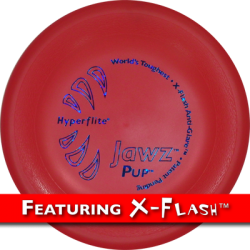 (Although the Jawz Pup disc is remarkably tough in normal canine play, it is not intended to be used as a chew toy. Jawz Pup discs do not float in water). You can see Louie above chewing his disc, even though we are trying to teach him not to. He loves the thing and has had it for a year now and there are NO holes at all! This is the hyperflex version so it is only 80% as strong as the Jawz but soft like the softflite.